With the Academy Awards coming up, Jeff Johnson weighs in with his annual Oscar predictions. Here we go with my annual Oscar predictions. Last year, I got 17 right out of 24 possible categories, which isn’t terrible. 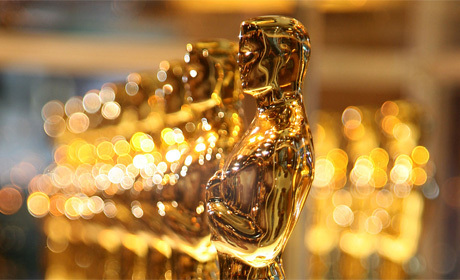 The 83rd Academy Awards will be broadcast this Sunday, Feb 27. If I change my mind on any of these before the big day, I’ll post any last-minute changes in the comments below. And I’ll post my final score too, even if it’s embarrassing. Prediction: The King’s Speech. If you’d asked me a month ago, I would have said The Social Network was a lock to win this. But in light of recent guild awards, namely both the Producers Guild of America and the Directors Guild of America awards both going to The King’s Speech, it looks like Speech is going to take this year’s top prize. Prediction: Colin Firth. It’s definitely Firth’s year to win. Many felt he should have won last year for A Single Man, plus he delivers another terrific performance here. On top of all that, it can’t hurt that the movie itself is gaining Oscar momentum. Prediction: Natalie Portman. Like Firth, Portman has won virtually every acting award this season, so she seems assured to win the Oscar. Prediction: Christian Bale. This one’s another lock, as Bale has won just about every supporting actor award this season, except for the BAFTA which went to Geoffrey Rush. I’ve seen some talk recently of Rush pulling an upset here, but I’m not betting on it. Prediction: Melissa Leo. This one’s a little harder because Jacki Weaver has won a couple of supporting actress awards this season (LA Film Critics and National Board of Review), but Melissa Leo has won most of them, including the all-important SAG award (though Weaver wasn’t nominated for the SAG). More importantly, watch out for Hailee Steinfeld because she was amazing in True Grit and sometimes in the past the Best Supporting Actress Oscar has been awarded to someone young with an impressive film debut (think Tatum O’Neal for Paper Moon or Anna Paquin for The Piano). Prediction: David Seidler. Since one of the strengths of The King’s Speech is its terrific screenplay, I’ll be shocked if Seidler doesn’t win this. Prediction: Aaron Sorkin. When I saw The Social Network back in October, I couldn’t imagine Sorkin not winning this award. He’s won most of the screenplay awards this season, including the WGA, and he’ll most likely be taking home a well-deserved Oscar as well. Prediction: Toy Story 3. Do I really need to explain this one? Prediction: In a Better World. Despite the fact that Javier Bardem is nominated for Biutiful, I think the race is going to end up being between In a Better World and Incendies. Instead of flipping a coin, I’m going with In a Better World because it won the Golden Globe in this category. Admittedly, Incendies wasn’t nominated for the Golden Globe, but I’m still going with In a Better World. Prediction: True Grit. Really tough category. The American Society of Cinematographers award went to Wally Pfister, but the BAFTA (British Academy of Film and Television Arts) award went to Roger Deakins. Originally I went with Inception but changed my mind at the last minute. I’m thinking that the highly-respected Deakins is the slight favorite. This is his 9th nomination and he’s never won, plus it can’t hurt that the cinematography in the film is beautiful. Prediction: The Social Network. Let me first get my head around the fact that Inception wasn’t nominated in this category. Seriously, what’s up with that? Bright side: it makes my choice much easier. Both the BAFTA and the American Cinema Editors awards went to The Social Network, so that’s where I’m placing my bet. Prediction: The King’s Speech. Two other major contenders in this category are Alice in Wonderland and Inception. I’m going with The King’s Speech here because I think it will sweep a few more awards along with its Best Picture win. Also, period films tend to do well in this category. Prediction: Alice in Wonderland. I know it’s tough with The King’s Speech in this category, but I’m going to give the slight edge to Colleen Atwood’s flamboyant costumes for Alice. Prediction: The Wolfman. This one of the strangest assortment of makeup nominees in many years. When in doubt in this category, I generally go with Rick Baker, who has won an impressive six Oscars. Prediction: The Social Network. The way this score works in the movie is so striking, I don’t see how it can lose. The only one that might give it a run for its money is Zimmer’s excellent Inception score, but ultimately I think the voters will go for the ambient yet effective score for The Social Network. Prediction: Inception. Apparently the visual effects in The Social Network were so seamless, everyone forgot that Armie Hammer isn’t really twins. This leaves Inception with very little chance of losing. Prediction: Inside Job. I realize Exit Through the Gift Shop seems like the obvious choice here, but this is one of the few categories in which voters must attend special screenings to prove they’ve seen all of the nominated films. As a result, a small percentage of Academy members actually vote in this category and the people who do vote are typically documentary fans who aren’t necessarily going to favor the most popular film. As always, good luck in your Oscar pool!